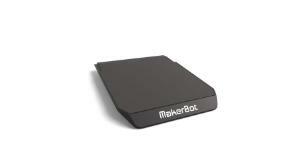 The MakerBot® Replicator Mini+ is engineered and tested for simple and reliable desktop 3D printing. The MakerBot® Replicator Mini+ is engineered and tested for simple, accessible, and reliable desktop 3D printing. 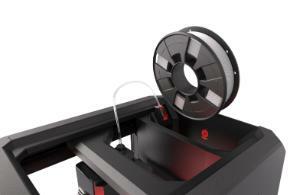 Print faster, easier, and more reliably with a bigger build volume. 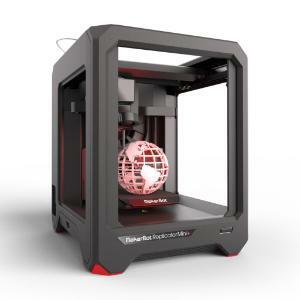 Combined with guided wireless setup and connected workflow tools, the Replicator Mini+ makes desktop 3D printing streamlined, portable, and simple-to-integrate. To ensure higher performance, the MakerBot® Replicator Mini+ features improved filament routing, a redesigned Z-stage, a refined gantry, a 28% bigger build volume, better print adhesion, and more. Optimized to print with MakerBot’s PLA Filament, it also includes all the standard features for ease of use and accessibility from the previous model. See user manual for full list of specifications.